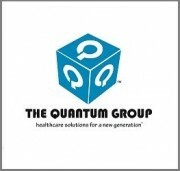 Ras Al Khaimah, United Arab Emirates, August 5, 2015	(Newswire.com) - Grace Century’s Electronic Healthcare Record (EHR) Project, the Quantum Group, has achieved a landmark ninth patent. This important patent is instrumental for use in general computing because it provides a method to enable computers to process and digest extremely large amounts of information with very high efficiency. Referred to as Slice Processing™, this technology permits significantly higher data throughput and means data can be broken into manageable segments to be processed faster and more efficiently. Quantum Innovations, Inc. seeks to provide technology solutions through PWeR® 2.0, a 21st century healthcare technology platform. Quantum believes that this Slice Processing™ methodology has universal potential in many industries, but in particular Electronic Healthcare Records (EHR) and other healthcare applications where computers are needed to process lots of data of different types. The current $3.2 trillion (USD) Healthcare industry in the US will now be capable of processing information to track one-to-many healthcare connections that currently exist but were meaningful data is difficult to extract. Questions, such as: ‘How is your health compared to your family, the community, or even the world?’ can now be answered efficiently. Talking about this exciting technological advancement, Grace Century’s CEO, Scott Wolf states ”This 9th patent illustrates Quantum’s consistent ability to envision the transformative future of healthcare. The growing portfolio continues to position PWeR® as the emerging leading platform in the space”. The need for this technology has been expedited by the recent trend to increase data processing power by layering a number of individual “cores” or processors per system, which is a more efficient way of managing heat removal compared to the more challenging task of removing heat from a single high-speed processor. Either way can yield similar computing power, but the multi-processor approach is more reliable and represents the future of data processing systems. These multi-core systems are present in servers, desktops and even tablets and smart-phones for this specific reason. 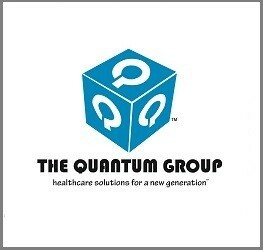 Quantum Innovations, Inc. seeks to provide technology solutions through PWeR 2.0, a 21st century healthcare technology platform. PWeR® stands for Personal Wellness electronic Record®. This 21st century EMR/EHR solution is a new breed, intelligent healthcare information platform that hosts medical records and permits interactive use. Medical records follow the patient, giving every healthcare provider that sees a particular patient access to all the information needed to assist in their diagnosis and treatment plan. Providers are able to access a patient’s entire medical record in one glance. In critical situations or in providing treatment to patients on the PWeR 2.0 platform, hospitals will be enabled to access full medical histories and make educated treatment decisions based on accurate data.